Posted on Tuesday, August 23rd, 2016 at 11:23 am. The harvest has started in Livermore Valley and I could not be more excited. Year after year the wine seems to get better and better and I think the 2016 vintage could be the best yet! 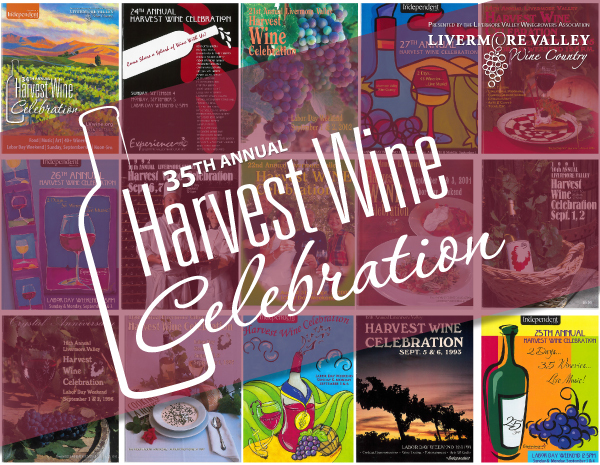 Of course, we still have to wait a while before tasting this year’s wine, but one thing you don’t have to wait for is the Harvest Wine Celebration! This year is the 35th Celebration and it promises to be the best one yet! Starting on Sunday of Labor Day, join 30 wineries as they celebrate the crush. There will be 18 bands throughout Livermore Valley along with art, crafts, and jewelry vendors. Wineries will have food and treats available for purchase and many will have discounts on bottles and cases wine. The fun doesn’t stop on Sunday! On Monday, head back to your favorite wineries or try new ones! Find the full list of activities here and be sure to get your tickets ASAP! I can’t wait to see you on Sunday and Monday of Labor Day Weekend!